New to keto? 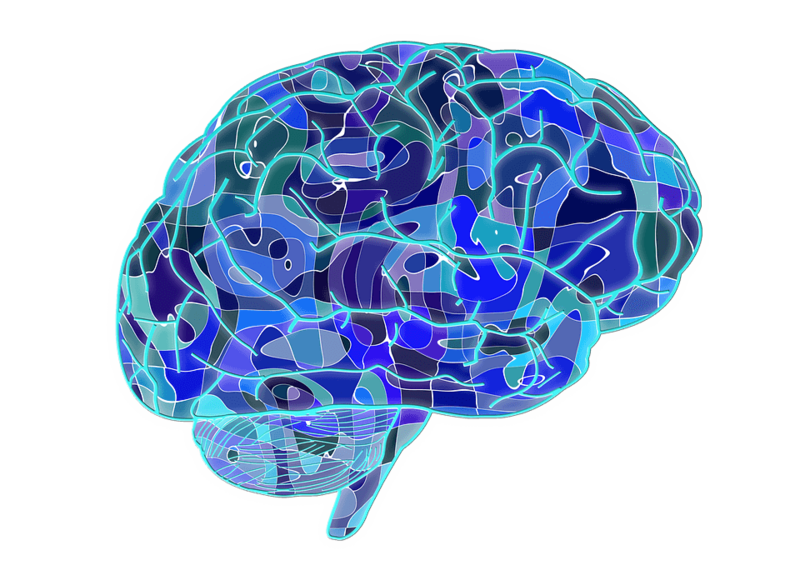 Click here to see how the ketogenic diet works for weight loss, as well as other health benefits. You can also see exactly what you can and cannot eat, and learn the essentials of how to start! 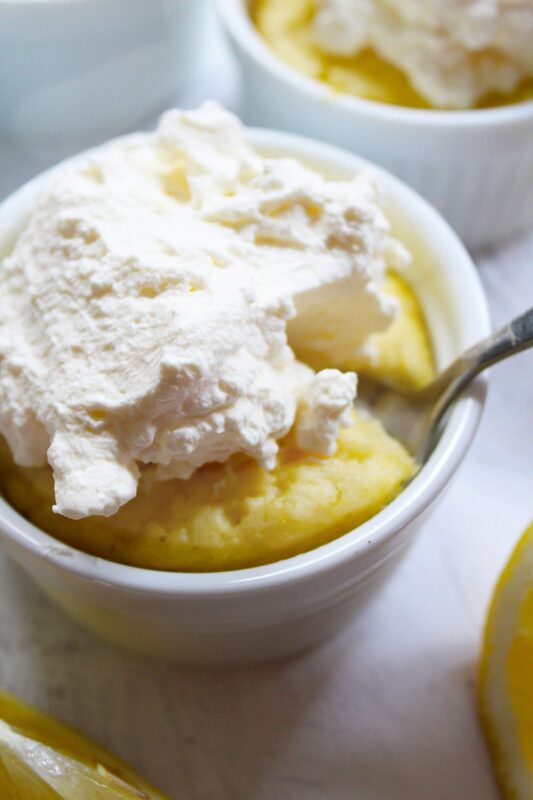 This ketogenic diet-friendly mug cake recipe serves 4, perfect for when you want a sweet treat for the family (or to freezer for yourself for later!) but don't want loads of leftovers. Combine eggs, lemon juice, coconut milk or heavy cream, lemon zest, stevia, sea salt, and coconut flour and stir well. Allow to sit for 5 minutes (this is the trick to getting coconut flour to not be clumpy) and then stir again until completely smooth. Add in baking soda, and stir again. 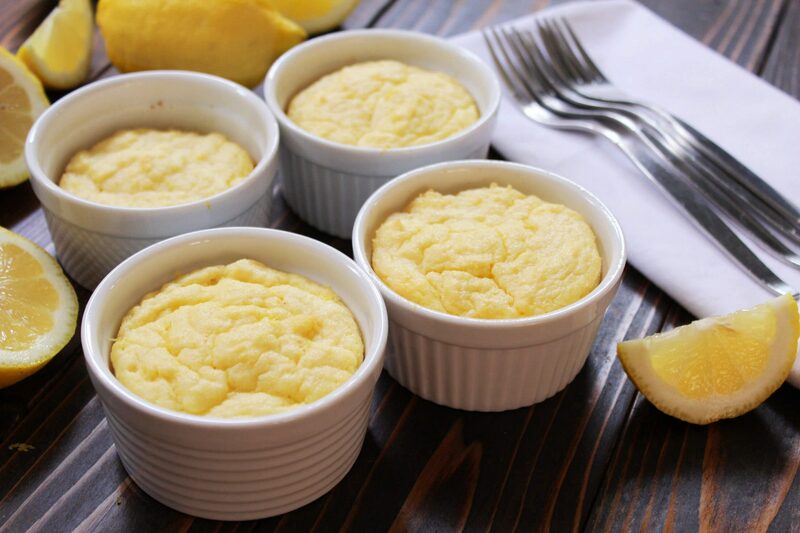 Evenly pour batter into 4 custard cups and then place in the oven. Bake for 20 minutes, or until edges are starting to turn golden brown, 'cake' springs back when you gently press on it, and a knife or toothpick inserted into the middle comes out clean. Cool, and then top as desired with stevia-sweetened whipped cream, or whipped coconut cream to make it dairy-free. 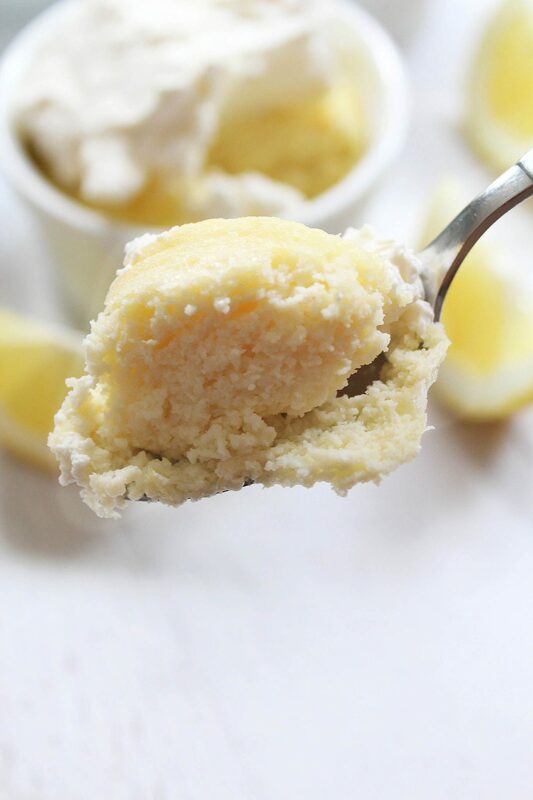 To make a single serving of this mug cake, use 1 egg, 2 tablespoons lemon juice, the zest of 1/4 a lemon, 2 tablespoons cream, 2 tablespoons coconut flour, 1 packet stevia, a tiny bit of salt, and tiny bit of baking soda (small pinch of each). Place in a mug or a 6-ounce ramekin. Microwave for 1:30 on high, or bake as directed for the full batch. The nutrition values for the individual cake haven't been calculated. Hi! 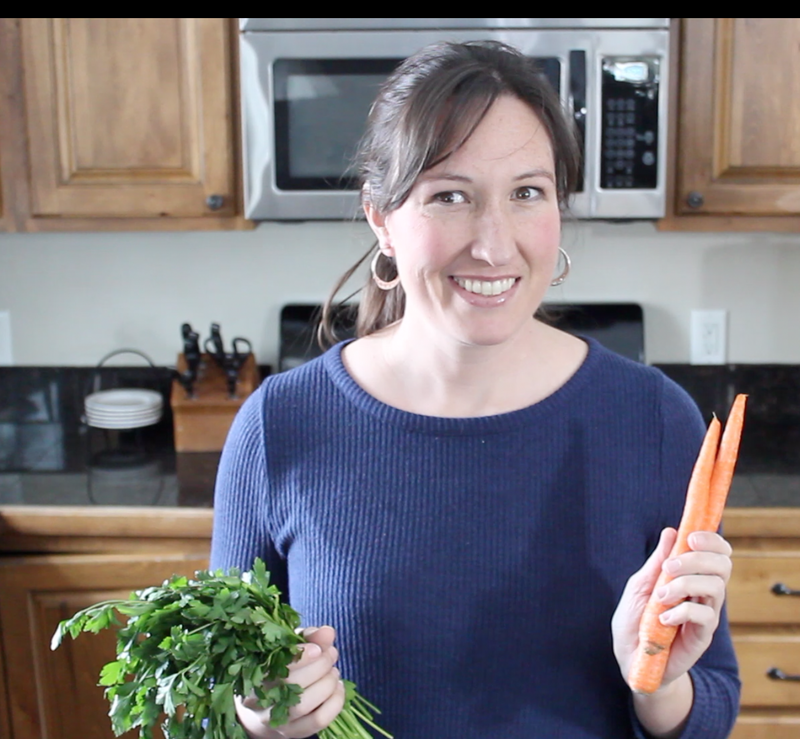 I’m Cara and I want to help you get started on the ketogenic diet! In this FREE workshop we cover the basics of 🍗🍎🍓 what you can and can’t eat on keto, ✔️🔥 the essential role of electrolytes in avoiding the keto flu and boosting your energy and mental clarity, ↘️ how and why you’ll see dramatic weight loss results in the first week, 🍞🍯🍫 what to do about carb cravings and how to get rid of your sweet tooth for good, 💭💕 and how to get rid of the mental hangups associated with starting and sticking to a way of eating that you know is beneficial to your body. Yum! Do you use coconut milk from a carton or can? I ask because heavy whipping cream would be thicker than coconut milk from a carton. Perhaps either way works? Thank you for the recipes and helpful information you freely share! Looks yummy. I use erythritol instead of stevia. What would 3 packets measure? Lemon anything is my all time favorite dessert. Could you make the 4 servings but put it in a tart pan? Soooo. The recipe for the single serving has the heavy cream going into the mug with all of the other ingredients. However, the instructions above give no indication that the heavy cream is a part of the recipe other than a topping. Should the cream be one of the combined ingredients or a topping only? Good catch! The coconut milk/cream is mixed in with the lemon and coconut flour batter. I just updated it – thank you! I use liquid Stevia. Do you know how many drops of liquid Stevia would equal three packets? Can you use lemon extract instead? I made this in a loaf. Didn’t have a lemon to get the zest. It I also made a thin lemon glaze to go on it. It was pretty good. I think next time I will use heavy whipping cream instead of coconut milk. It was almost too much coconut taste for me. Do you know if I used almond flour instead of coconut would I need to do anything differetly? If I remember, you cannot exchange these flours equally….? You would need to use more almond flour – maybe 4 times the amount? I’m not quite sure. I buy organic heavy whipping cream from Trader Joe’s. Since it is all cream with no milk whatsoever, there is no lactose (milk sugar) in it. I’m lactose intolerant and I can eat this cream all day long without having any problems. So if you want to use dairy cream in this recipe and you cannot because it might contain lactose, look for high quality whipping cream that contains no milk. Close, and it probably has so little that it doesn’t bother you, but if it had no lactose whatsoever it would be butter :) It still has a little in (which might bother very sensitive people) but not much at all. If you over whip whipping cream, you get….butter! Omg, this was Delicious & Moist. I would definitely make again. I used heavy whipping cream and swerve. Delicious! I made mine using erythritol instead of stevia and it turned out great! good morning..I don’t like to receive your mailletters longer . I use pure stevia powder, not packets that have other fillers. What amount of pure stevia would I use? Any type of sugar alcohol massively upsets my stomach, so pure stevia is the only low carb sweetener I can use. I prefer NuNaturals brand, if that helps.